Pictured: Portrait of Dr. Tricia Wright. Deborah Manog Dimaya photo. The book is meant as a toolkit for care, informed by Dr. Wright’s experience treating addicted mothers in Hawaiʻi. At a time when opioid misuse is rampant across the country and overdose deaths have reached unprecedented levels, it is important to consider one of the most concerning consequences of this dangerous trend: the tragic effects opioid dependency can have on pregnant women and their newborn babies. 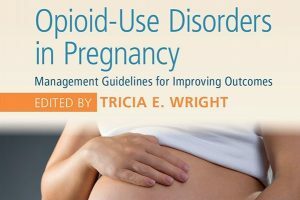 Opioid-Use Disorders in Pregnancy: Management Guidelines for Improving Outcomes is a useful collection of writings by obstetricians, addiction specialists, family medicine practitioners, psychologists, and psychiatrists from around the country. 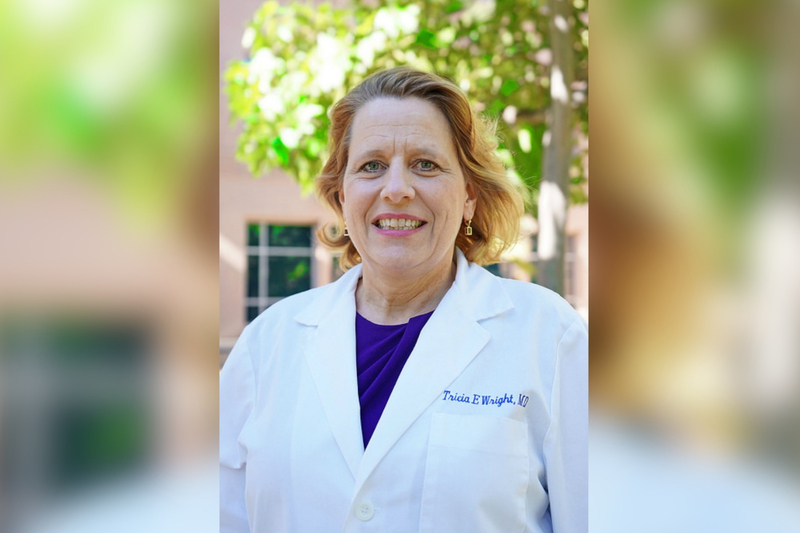 Dr. Tricia E. Wright, the book’s editor, is a widely-recognized expert in addiction and women’s health, but more than that, she knows the material first-hand as both a clinician and researcher. For over than a decade, she has helped pregnant addicts at PATH (Perinatal Addiction Treatment of Hawaiʻi), a Honolulu clinic Dr. Wright founded in 2007 to help pregnant women who are at high risk for unhealthy births due to substance abuse, poverty, homelessness, and medical and psychiatric illness. Clinical studies she conducted there with patient volunteers are quoted in the chapter on the importance of prenatal care. The work she continues to do at PATH is based on the comprehensive care model held out in best practices throughout the book. Treatment opportunities are actually better in Hawai’i than many places for pregnant women who are unable to afford medical care before and after birth, because in our state, women maintain eligibility for Medicaid postpartum. Unfortunately, many women do not know about that option. Dr. Wright, an associate professor of Obstetrics, Gynecology and Women’s Health at the University of Hawai’i (UH) John A. Burns School of Medicine (JABSOM), notes that treatment opportunities are actually better in Hawai’i than many places for pregnant women who are unable to afford medical care before and after birth, because in our state, women maintain eligibility for Medicaid postpartum. Unfortunately, many women do not know about that option. The cover of the book edited by Dr. Tricia Wright. Released on May 3, Opioid-Use Disorders in Pregnancy: Management Guidelines for Improving Outcomes is published by Cambridge Press and available now on line at Amazon bookstore among other sellers. Dr. Wright has been lauded by the Women’s Caucus of the Hawaiʻi State Legislature for her work with PATH Clinic, providing a service that was not available before she convinced lawmakers to invest in “pilot project” startup funding for the clinic. Since then, Dr. Wright has continuously sought funding to keep the clinic running, and is grateful for past grants from the Hawaiʻi Community Foundation, Office of Hawaiian Affairs, March of Dimes and others, and invites gifts from anyone interested in supporting the clinic’s mission. Since 2011, PATH Clinic has been part of Waikīkī Health. In 2015, the clinic received the Governor Hugh L. Carey Award, presented annually to the national award-winning program in Mutual of Americaʻs Community Partnership Award competition. In addition to obtaining public or private funding to maintain PATH, Dr. Wright stresses the importance of establishing an Addiction Medicine Fellowship in Hawaiʻi, a goal of the medical school. Dr. Wright is a practitioner with University Health Partners (UHP) – formerly known as UCERA (University Clinical, Education and Research Associates) – which is a nonprofit organization that supports the faculty practitioners in the health sciences at the University of Hawaiʻi.